EXTRA EXTRA READ ALL ABOUT IT!!! In case you didn’t already know, Kannapolis Arts, a division of Downtown Kannapolis Incorporated, has organized an Art exhibit featuring local artists at the new Salisbury Business Center located in Downtown Salisbury. This exhibit is very colorful and contemporary and features a unique variety of works including oil paintings, digitally enhanced photography, still life photography, bright acrylics works, captivating pastels and even pieces using food coloring and mediums you have to see in person to truly appreciate. More information regarding featured artists can be found HERE. This is such an awesome opportunity to spotlight some of our local artists and to create a fun and energetic vibe that we hope will carry over into the future of the Downtown Kannapolis area. 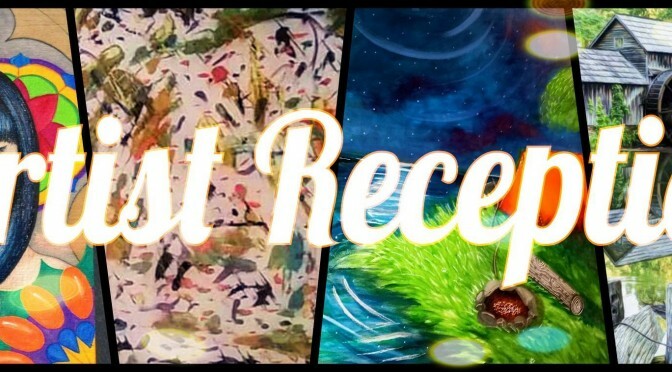 Thanks to the dedication and generosity of the Salisbury Business Center and the Rowan Arts Council, a reception will be held this Wednesday, February 24th from 6-8pm which will include light hors d’oeuvres, refreshments and performances. This reception, which is FREE to the public, will also include an artist meet and greet. Visitors will have the opportunity to meet the artists, ask questions and purchase some spectacular pieces. Additionally, Kannapolis Arts volunteers will be on hand to answer questions regarding their role in Downtown Kannapolis and their impact on the local Arts community! See you there!